As the capital of the former French colony of Niger, Niamey has long been a favourite destination of French travellers. 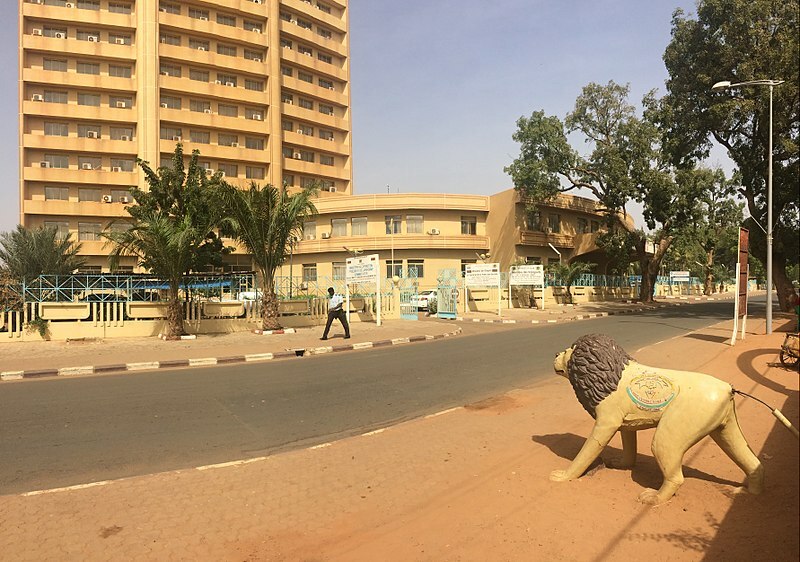 But the secret is out now, and more and more travellers from all over the world are discovering Niamey’s allure. Situated in an appealing spot on the lush shores of the Niger River, Niamey is a modern, lively and cosmopolitan city. The river provides life to the otherwise dry Sahel landscape, and features an abundance of birdlife. Niamey is a melting pot for the different peoples of the Sahel – this is a place where you will see Fulani, Tuareg, Hausa and Zarma. Niger is, however, one of the poorest countries in the world so you will be confronted by the dichotomy of riches (largely from the uranium wealth) and the poorest of the poor. 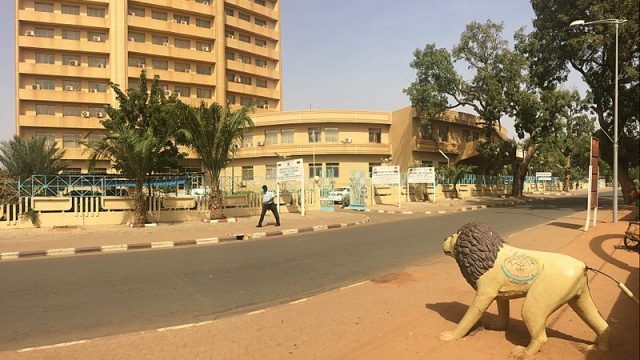 So add Niamey to your list of African cities to visit. Shop in the colourful outdoor markets, take some time to appreciate the museum, one of West Africa’s best, laze in a pirogue on the River Niger or watch Niamey’s version of rush hour as laden camels journey across the Kennedy Bridge. Niamey is host to one of the best museums in West Africa, La Musée National. Set in a sprawling location, it provides an excellent overview of the history and culture of the region, with examples of traditional crafts (in the artisans village) and houses. Exhibits are housed in traditional style buildings, and include traditional dress, enabling you to identify the dress of different ethnic groups. It’s a good place to soak up some shade and enjoy a cold drink. The Zoo, however, is best avoided due to its small animal exhibits which have not been updated since the Museum’s creation in 1959. Be sure to look out for the infamous Arbre du Ténéré, which has a tale to tell stranger than fiction. This acacia was once considered to be the most isolated tree in the world, existing miles from any other tree in the desert of Ténéré, and the only tree to be marked on a map. Until a rally driver managed to reverse into it and kill it in 1973. Quite a feat considering it stood in the middle of a desert 400km from any other tree. It stands now to the left of the main museum building, the Pavillon Pablo Toucet,in somber remembrance. Over the years dinosaur bones discovered in the Sahara desert have been removed to the museum. The standout is the 100 million-year-old Sarcosuchus imperator, or ‘Super Croc’ – a giant 2m-tall and 15m-long ancient crocodile. Other similarly ancient bones of extinct giant dinosaurs are housed under a rudimentary structure, harking back to a time when the Sahara was a green paradise. Included within the environs of the museum is a living artisans’ centre. Here you can see traditional craftsfolk at work weaving, making jewellery (including the famous Croix d’Agadez), brasswork and leatherwork. It’s a great way to see living culture in action, and you can buy the products direct from the artisans. Open air markets provide a wonderful opportunity to people-watch and to bargain, and Niamey has several to choose from. The Grande Marche, the city’s main market, hosts over 5000 stalls and is calmer than other markets, and it offers a myriad options from local spices to colourful fabric. The Petite Marche is more chaotic and consists of fruit and vegetables. Also worth a look are Wadata Marche, located next to the artisan village in the Museum and the Tuareg market where you can see beautifully crafted jewellery and leatherwork. On Sundays, there is a craft market 2 hours east of Niamey in the town of Baleyera. Take a break from the stifling summer heat by spending some time in one of the local pools. Hotel Gaweye and Grand Hotel are located by the banks of the river, providing lovely views. Most of the large hotels will allow you to use the swimming facilities for a charge. It’s an excellent way to cool down and recover your equilibrium after the heat and dust. Niamey is host to the last remaining wild population of giraffes in West Africa. Head out past the airport in a taxi to the town of Koure, where you will be able to see them in the Koure Biosphere Reserve. It’s located about 60km from Niamey. The entrance fees go towards the conservation of the giraffes. In the rainy season (June to September) the giraffes tend to be closer to the road. A green lifeline through the sandy Sahel, the River Niger is the bringer of life and provides a source of income for many Nigeriens. For many years the Kennedy Bridge (Pont du Kennedy) was the only bridge across the river in Niamey. (Though in the dry season when the river receded to a shadow of itself, Fulani farmers can walk across with their cattle). There is now a second bridge (Friendship Bridge), but the original is still the main route to the more residential side of the river. Settle yourself in a riverside hotel with a drink in hand and observe the comings and goings, or the fabulous sunsets. Watch the washer folk at work on the banks of the river, beating the garments against the stones, or the lazy manoeveres of the pirogues. Or in the cool of the evening, stroll across the bridge. Or try to negotiate a camel ride. Be sure to check out the amazing leatherwork saddle. See if you can spot the hippos lounging by the southern bank (or take a pirogue tour to get closer to them). The largest mosque in Niger, the Grand Mosque was built with funds from Libya. Set on the outskirts of the city, it offers a panoramic view of the city. Tours are available in French, Hausa or Zarma and include a visit to the minaret, which has 171 steps. The mosque interior is beautifully decorated with intricate green and white tiles, providing a cooling and calming atmosphere. Admission costs go towards the upkeep of the building and charitable activities. The mosque is open to visitors but remember to dress conservatively, and women will need a headscarf. The city is host to a wondrous array of different cuisines including Vietnamese, Lebanese, French, Italian and Chinese. But do try the amazing street food. Kebabs from the side of the road dripping in chilli sauce. Fried doughnuts (beignets) directly from the hot oil. Sugar-coated peanuts. And of course West Africa’s favourite snack: kosai with hot tomato sauce or chilli powder. And while you’re here, be sure to try ‘capitain’, the nile perch. It’s delicious. You can also find imported French products (including apples and cheese) at Score supermarket or Haddad Supermarket, but these are at the inflated prices you would imagine.